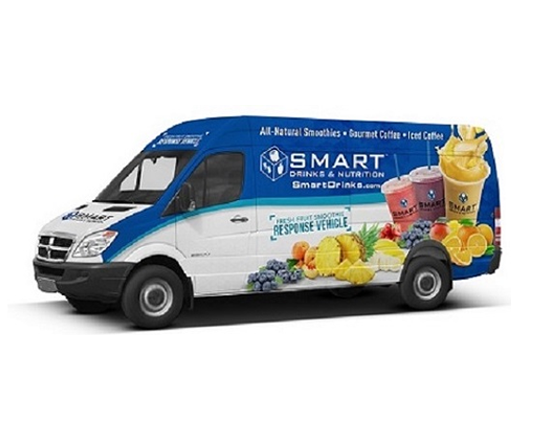 For over 16 years, the people of Houston have known they can get the fresh fruit smoothie of their choice when they see the SMART Drinks logo, whether it was at NRG stadium for over 5 years for all events, local fun runs, fund raising events in their community or at one of our retail establishments. The SMART Drinks logo and trademark means 5-star reviews! Hot Chocolate made with real chocolate and your choice of milks! Sixteen years is a long-time to be in business, it has given SMART Drinks the time to learn what works and does not work in the Smoothie & Nutrition and the Food Truck industries. We have been able to combine these two business models into a profitable and fun new business offering. 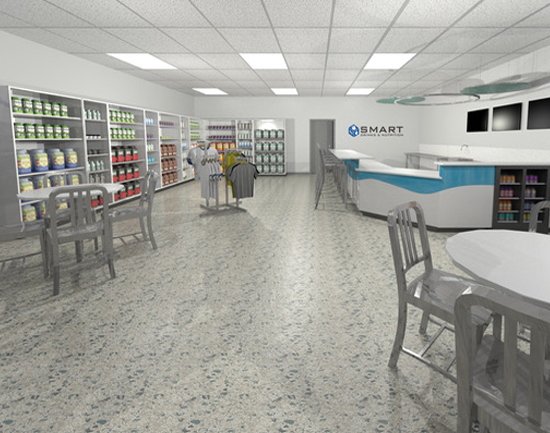 SMART Drinks and Nutrition has used this time to develop a system that offers customers the great experience they want. We have had the time to prefect the fruit smoothie, blended coffee and veggie juice recipes that customers crave. We know that it can be the little things that bring in repeat customers, and we will share those secrets with our franchisees. SMART Drinks has invested many resources in developing a detailed and comprehensive operations manual. We have included scripts, training procedures, and marketing processes in this document, so franchisees will always have a reference document at their finger tips. As a franchisee your training will take place while your venue be it a retail location or a mobile unit is being built out. Seasoned SMART Drinks employees will work with you at our corporate headquarters in Houston, virtually and in your area to assist you in building a successful business launch, that will be easy for you to maintain and grow. A successful marketing strategy is broad. We start with training franchisees and your employees in the SMART customer experience in order to start building your customer base. Our SMART Rewards program helps franchisees build a strong customer base that they can reach out to with events and promotions. Collateral has been developed in order to assist franchisees when they have to opportunity to share their offerings face to face or via email marketing. We have build relationships with brand amplification programs in order to assist in the building of local event marketing for the SMART Mobile units. We work with local food delivery services to enhance retail operations and sales. Our SMART App will help your customers find, order and pay for SMART Drinks while they are on the go. We continue to work with the marketplace to increase or visibility using the newest technologies to remain relevant to our new and existing customers. SMART Drinks has build a 5-star reputation via social media on YELP, Google and Facebook, we will share that reputation with our franchisees. SMART Drinks & Nutrition's CEO and Founder is Charles Levinson has a comprehensive knowledge of sales management and financial operations. After spending over eighteen years in the automotive sales industry as well as his personal automobile conversation company, he chose to start SMART Drinks and Nutrition, combining family's values with his knowledge of sales and health to start a fresh fruit smoothies and nutrition company in Houston, TX. Since starting SMART Drinks and Nutrition in 2002, Charles has successfully managed 15 concessions inside of Reliant Stadium and Cynthia Woods Mitchell Pavilion, the flagship store, and the SMART Mobile units. Charles knows that collaborating with his franchisees, while applying his business expertise to ideas that they bring to the table, is the optimal way to keep the SMART Drinks brand growing and current. Charles has built a franchise support team that shares his vision of a system that is based on relationship building and mutual support. 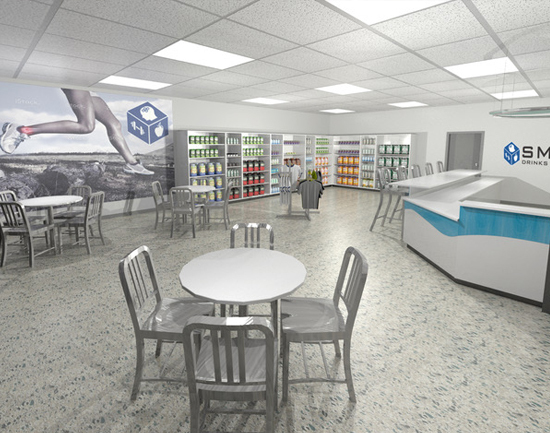 Site selection is integral to the success of both the SMART Drinks & Nutrition retail store as well as the Mobile unit. Sites with a drive -thru options are highly recommended. We will work with franchisees to build a profitable route for their mobile unit. This will be an on-going process in order to maintain and grow an increasingly successful business. 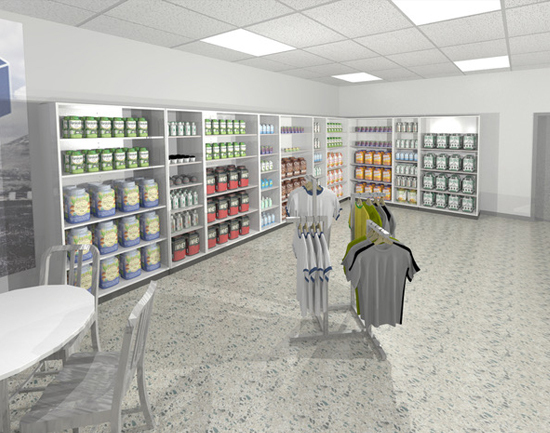 SMART Drinks & Nutrition has worked with designers and engineers to develop a look and feel for its retail establishments that are modern, easily maintained and will be attractive to our SMART customers. This includes seating, flexible retail areas, supplement presentation space and storage as well as our fruit smoothies and veggie juices counter and digital menu boards.